We know that you are busy being business owner. It can be easy to overlook a pay per click campaign in your search engine marketing strategy. Although it actually vital to your success, and here’s why: PPC Campaigns can get you immediate results, as well as a steady flow of traffic for very specific keywords that drives customers to your site. A PPC campaign can be a nice complement to your SEO strategy and vice-versa. For example, Google AdWords. When this product is used as a part of your marketing strategy, it can do great things for you. You have a wide range of tools at your disposal, including those that let you see right away which of your keywords are getting the most clicks. Another tool like PPC allows you to analyze the probable keyword variations that are working for your business. When you’re just entering the marketplace of online strategies, PPC can be a critical element of your campaign, because you don’t know which keywords are best early on in your campaign and as we know most businesses don’t have unlimited budgets to spend on marketing. Our goal is to make sure we create a strategy that effectively targets the best keywords. In addition to helping you figure out which keywords will get you the traffic you want, PPC can also help you to assess which of those keywords will result in the highest conversions. 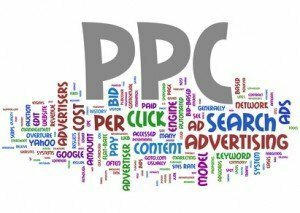 For you business owners who are ready to find the reliable marketing return you’ve always been looking for.. PPC can give you the most bang for your buck of any online marketing strategy. By simply running your ads to the right target audience, we help you have a much higher chance of finding that new customer. And the best part about PPC is that you only pay when someone clicks on your site which means you get traffic. Setting up a PPC campaign can mean waiting until a good ROI is achieved. It simply isn’t enough to run a campaign for a month and then end it, and our expertise is only a part of what is needed to achieve the results you want. We review campaigns everyday and make the much needed tweaks on a regular basis so that traffic can be increased while keeping costs as low as possible. And that’s exactly what every PPC company in Salt Lake City should be doing for you. If they aren’t, perhaps it’s time to see what the other companies near you have to offer. Here at Local-One Internet Marketing we are dedicated to not only getting you search traffic, but getting you in front of customers who are willing to become your devoted fans and tell everyone about you. If you are ready to tell the world you’ve arrived, we look forward to hearing from you. Give us a call at 1-800-282-2434, for your FREE web site analysis.